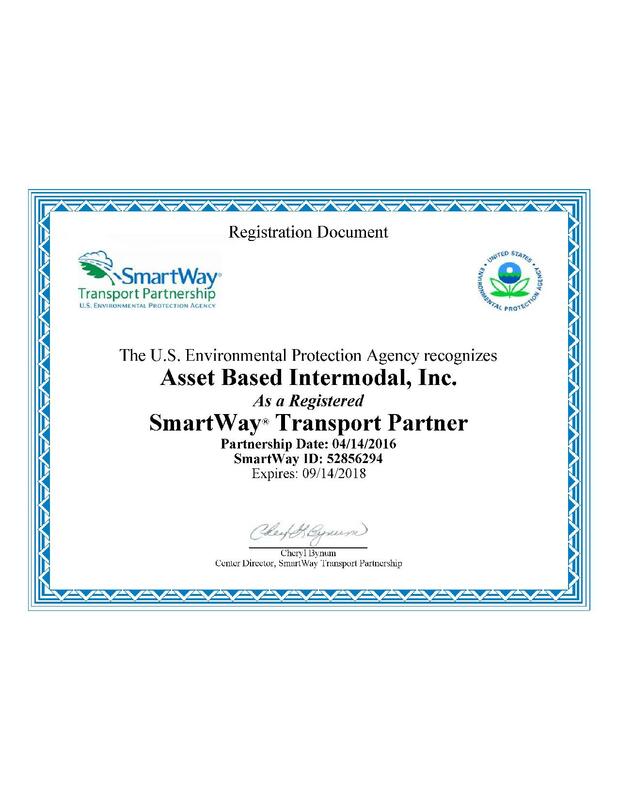 Asset Based Intermodal, Inc. Becomes a SmartWay Partner Since 2016 – Asset Based Intermodal, Inc. Since 2004, SmartWay has helped its partners save 196.5 million barrels of oil- equivalent to eliminating annual electricity use in over 12 million homes. By helping America’s freight industry reduce its dependence on foreign fuel, we can invest more dollars at home and reduce our national trade deficit. Tractor, trailer and equipment suppliers to the freight industry also rely upon SmartWay to verify the benefits of fuel-saving vehicles and equipment.